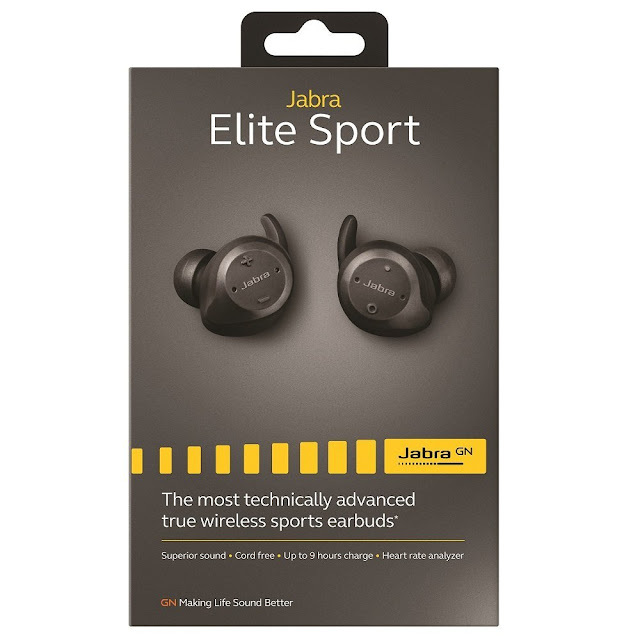 Jabra has recently provided me with their recent truly wireless earbuds, the Elite Sport, which isn’t just for listening to music cord free, but also provides heart rate monitoring and coaching while also being compatible with a number of fitness apps. Since these are completely wireless, a clamshell charging case is included and in regards to charging, Jabra is boasting up to 13 and a half hours between charges. 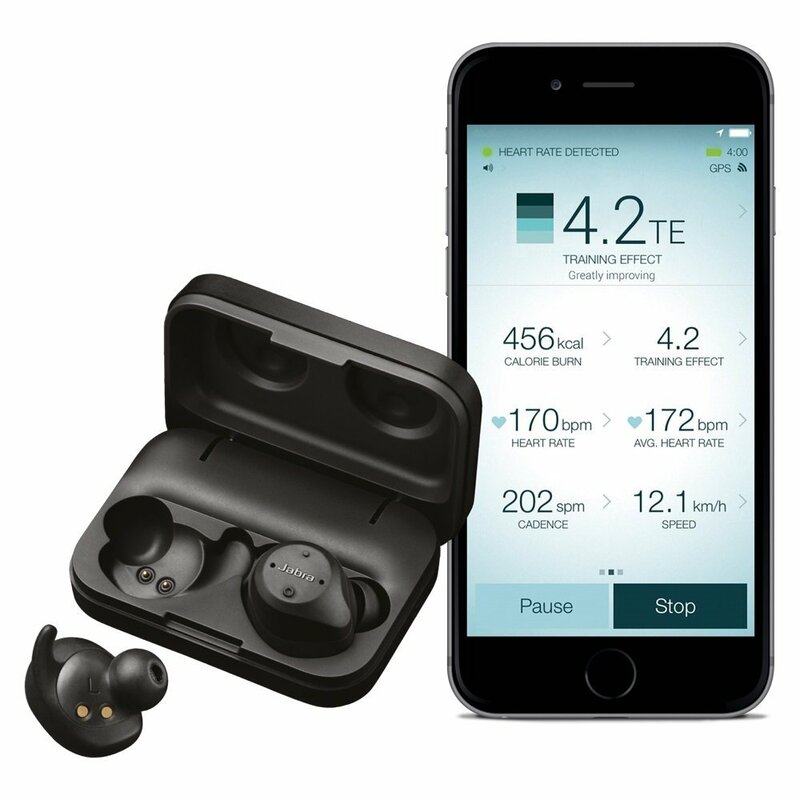 These ear buds integrate with Jabra’s Sport Life application, which allows for planning workouts, tests fitness levels, along with analyzing and recording fitness activity. Out of the box and into my ears, these buds were easy to sync but uncomfortable, but after a few failed attempts to get the right fit with the various sized EarWings and EarGels, I was able to get them to stay in my ears comfortably. What I really liked about the Elite Sports was that when charging their case, Bluetooth would disconnect, then would automatically connect to my phone once the case opened. During use, I learned that one ear bud can be used should you want to be aware of your surroundings, but be aware that it must be the right side because once the right gets too far from the left side, the left side will shut off. I was able to wear these comfortably through a workout, but got a little uncomfortable towards the end of a two hour flight. While there are buttons to control the volume, track, and heart rate, the buttons were very small and would have to firmly press the earbud into my ear to get the button to click. My only other complaint is probably just a personal preference but the sound quality, while crisp and clear with various music genres, was lacking in bass. I am not sure how the sound compares to apple’s wireless ear buds, but my comparison was with my Bose SoundSport that are similar in size but wired. Being that the Elite Sport are completely wireless I was worried that they would fall out of my ear while active, but they fit snug and didn’t fall out, dry or sweaty. 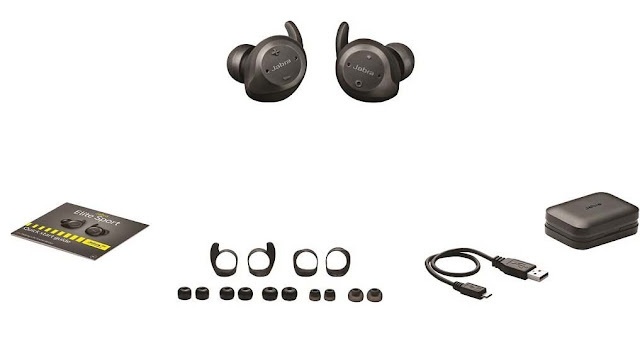 The amount of features are plentiful to help justify the heavy price and stand out among the handful of truly wireless earbuds and the sound quality stays clear at any volume and does well drowning out noise. These are best fit for active lifestyles with their ability to effectively stay in my ears, monitor workouts, provide coaching, and link to my Apple Watch so the phone wasn’t needed to be on me to listen to my playlist and track my activity. Jabra’s Elite Sport is available now for $249.99.